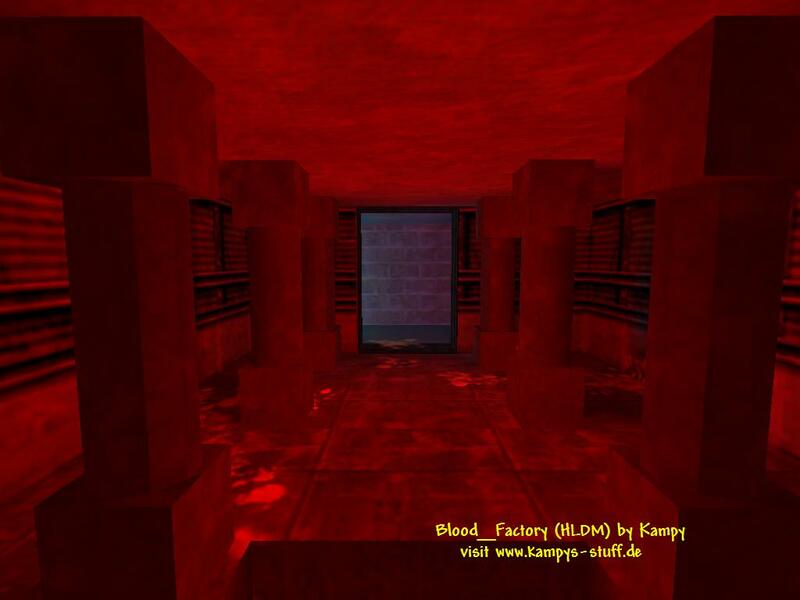 Blood_Factory was actually a Half-Life Deathmatch map, but at that time nobody played HL no more. That's why I made a second version for Counter-strike. I actually think it's a crap cs-map. There's no CS goal and it doesnt even look like a cs-map. 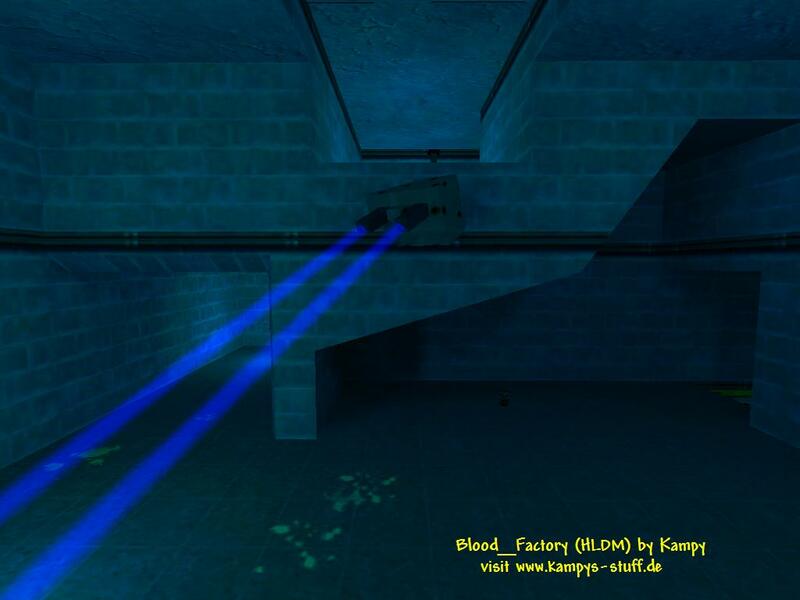 The Counter-Terrorists start at the upper part of the map which looks like the lambda lab a lot. There are two ways to go, either through a vent or some other way down. 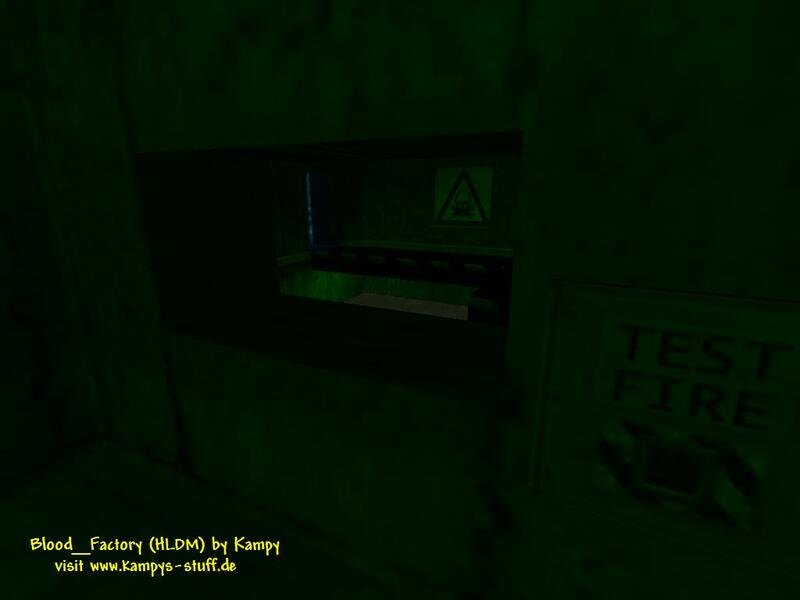 The terrorists start in the basement at a acid lake and have two ways to go both through ladders. The gameplay is pretty much deathmatch, but a lot balanced. The grafics are too simple an unrealistic for a counter-strike map - r_speeds are low.